I’ve got a few of what the kids call “shout outs” to offer up today, but before I do so, I’d like to mention a worthy companion that passed away recently. If you make it through this, there will be cute stuff. I promise. It appears that the mug was left in the garage with … well, it’s unclear what, exactly, was left inside the mug. 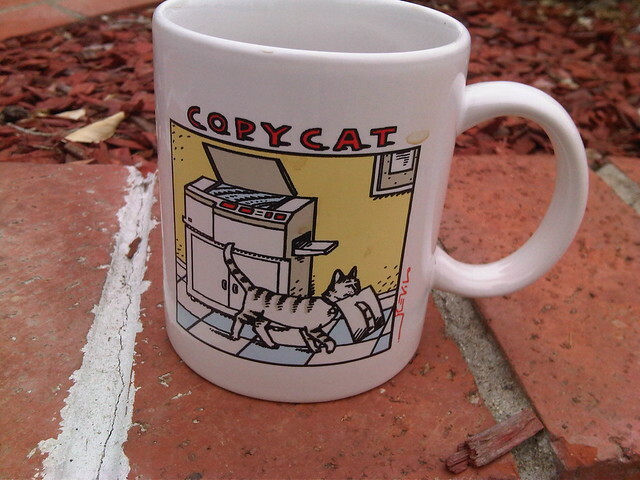 But suffice it to say that the copycat mug gave its life for science. It would be wrong of me not to at least publish the results of our faithful mug’s final experiment. Right. Now onto the shout-outs. Actually, maybe their “call outs.” Hmm. 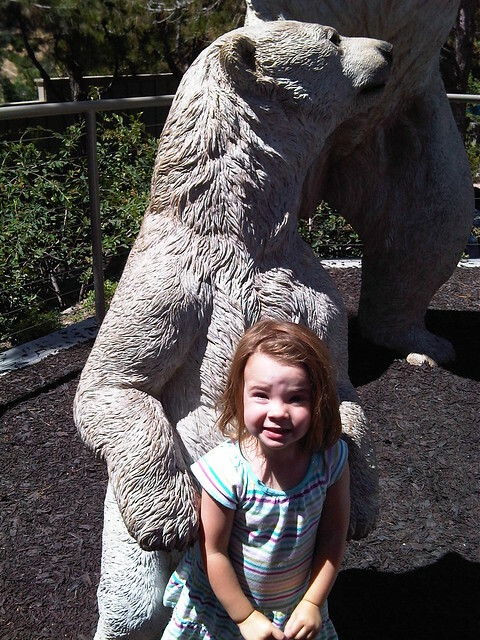 Either way, I’m sure I’d like to call out this bear for not paying attention while we took this picture at the zoo last week. This could have been a great picture if he hadn’t, I don’t know, smelled gravy or something. The zoo need to seriously get some animals that have a passion for working with the public. This guy was really phoning it in. 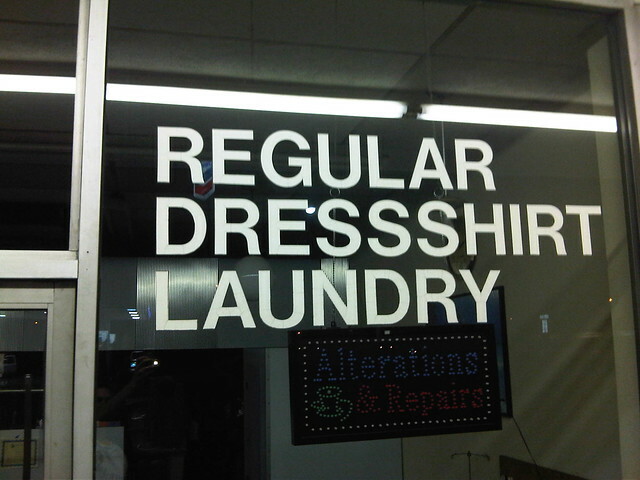 Speaking of phoning it in, I’ve also got to call out the guy who writes signs for the dry cleaner that happens to be next to the donut shop we stopped at on the way back from the Galaxy game last week. I have a word of advice: if at any time, you find yourself adding a third S in a row to a word, step back. I think you’ll find a way to express yourself without offending everyone in the whole world. Sorry, expresss yourself. Now it’s time to call out Abigail. I know, she’s only two, but she has to know how good she’s got it. Shiny blue ones. Sparkly pink ones. Understated gold ones. Okay, maybe gold can’t be understated. 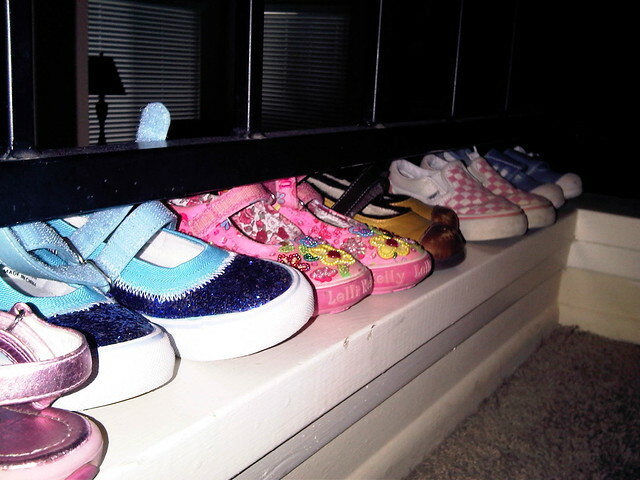 She also has some other pink ones. The point is she has a lot of shoes. However, despite the fact that she hated them when she first tried them on, Abigail will now only wear these, except under extreme duress. Now, sure, these shoes came from Grandma Pat, and that counts for something. 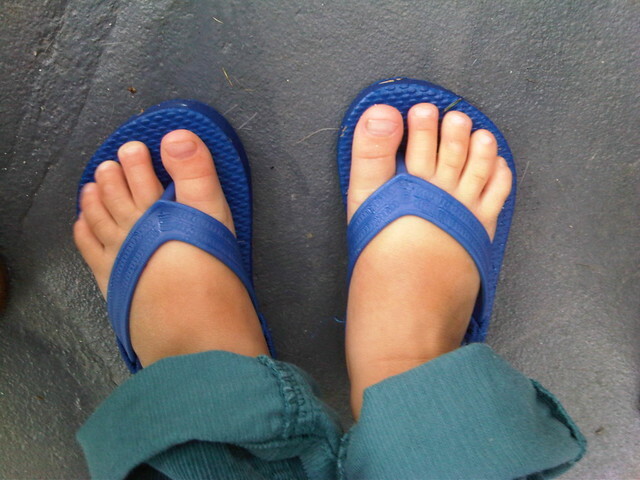 And yes, they are flip flops, which we all know are awesome. However, these are also by far the cheapest and least flashy of her shoes. It’s time for her to step up the glam, that’s all I’m saying. 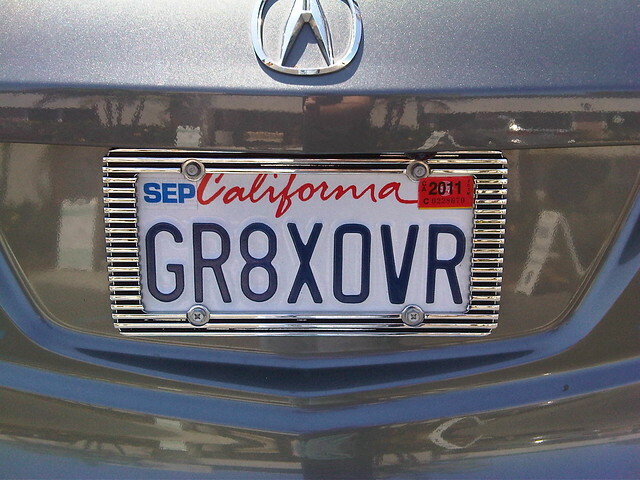 I’m not sure if I’m calling out the guy whose SUV was parked in the handicapped spot in front of the doctor’s office the other day, but I’m going to show you his license plate. I walked about fifty feet before it hit me and I went back to take a picture. And finally, I would like to give you another picture of Abigail, because I can. 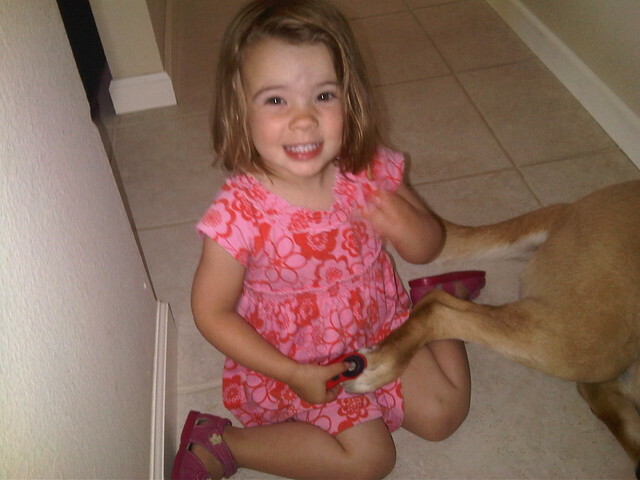 In case you’re wondering, she’s trimming Maggie’s toenails. With a chip clip. 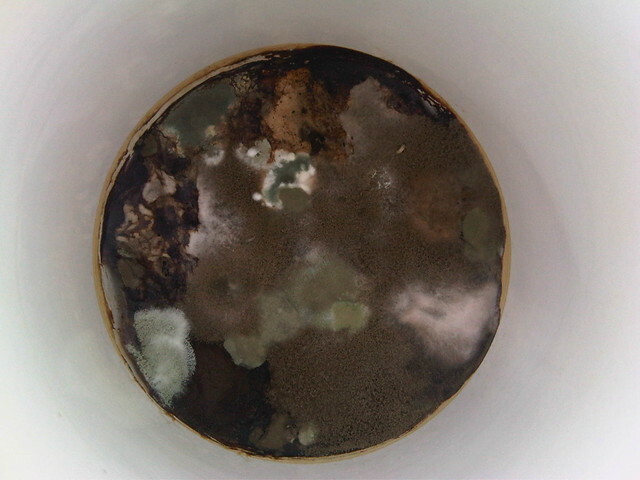 This entry was posted in Abigailia and tagged Mold, Pictures. Bookmark the permalink.